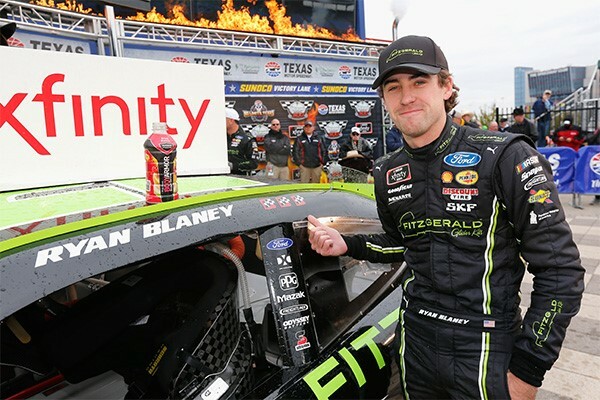 NASCAR Race Mom: Ryan Blaney Wins At Texas! Ryan Blaney took the No. 22 Team Penske Ford Mustang to Victory Lane on Saturday, winning the NASCAR Xfinity Series My Bariatric Solutions 300 at Texas Motor Speedway. 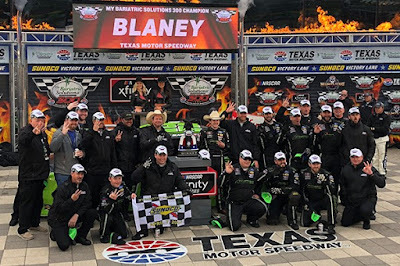 Blaney won for the first time at Texas, making it three in a row for "The Captain" (Roger Penske) and Team Penske, following teammates Brad Keselowski and Joey Logano’s victories at ISM Raceway (Phoenix) and Auto Club Speedway (Fontana). After two rain delay qualifying sessions between NXS and Monster Energy NASCAR Cup Series (MENCS), it was the Ford teams that swept the pole positions in both series. 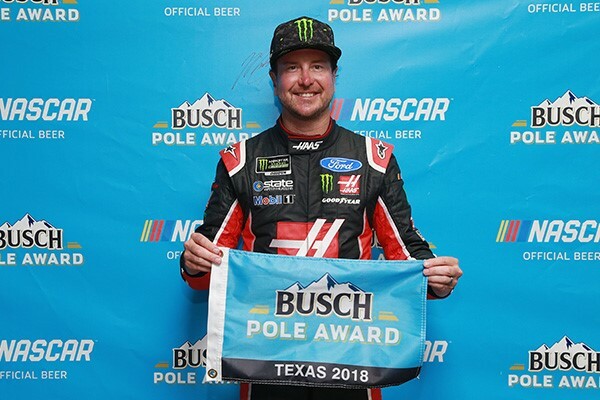 Blaney secured the NXS pole, while Stewart-Haas Racing’s Kurt Busch took the pole position in the MENCS. Starting the NXS race from the pole, the No. 22 dominated Stage 1 with the power of the Ford FR9 Carb engine to lead all 45 laps. 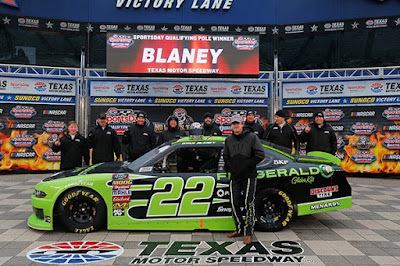 Blaney went on to lead a race day high 132 laps (198 miles) and win by an impressive margin of 2.327 seconds over No. 20 Christopher Bell. This was Blaney’s seventh NXS career win. 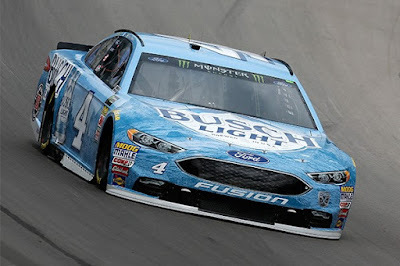 Three Ford Mustangs finished in the top-10, following Blaney was the No. 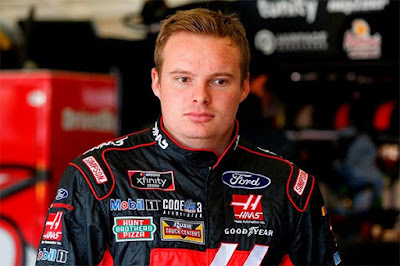 00 Cole Custer in fourth and Team Penske teammate Austin Cindric No.12 in ninth. In addition, Custer qualified for the Dash 4 Cash program ($100,000 event) at Bristol Motor Speedway (April 14th). In a hard fought MENCS race Sunday, five Ford’s finished in the top-10; Kevin Harvick P2 (Stage 1 winner), Blaney P5, Logano P6, Busch P7 and Clint Bowyer P9.